In 2006 Heather submitted a proposal to Darren Poupore, Curator of Collections at the Biltmore Estate, to replicate, as close as possible, 4 (101" x 21") pelmets for the Second Floor Living Hall. The project took 26 months to complete. 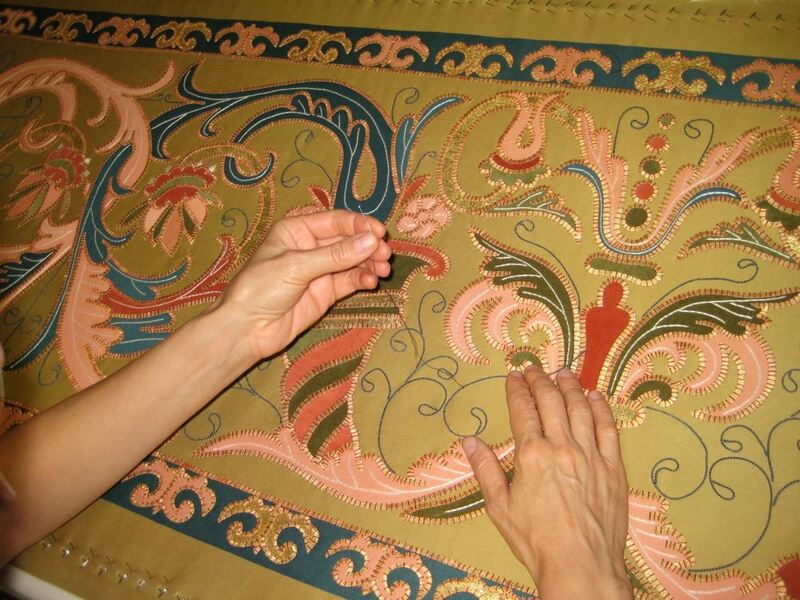 Come hear her talk about this incredible process of making patterns, hand dying velvet and combed cotton sateen, gilding a silk linen rep weave fabric to create ribbon, creating specialty threads for couching, and 16 months embroidering. Heather will tell the story of how this remarkable replication project unfolded.